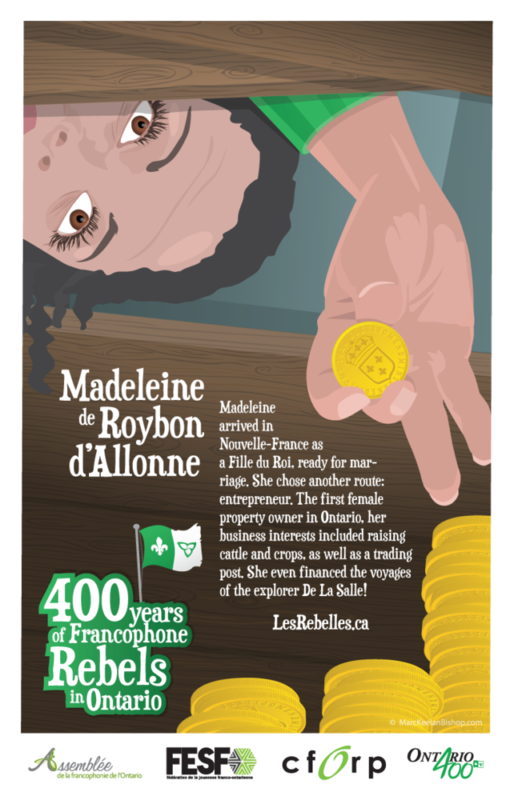 Madeleine arrived in Nouvelle-France as a Fille du Roi, ready for marriage. She chose another route: entrepreneur. The first female property owner in Ontario, her business interests included raising cattle and crops, as well as a trading post. She even financed the voyages of the explorer De La Salle!